*In this section we discuss a leaked poster which includes a first glance at new characters in 'Star Wars: Episode IX'. If we are to believe the source, this poster, which has been circling through Reddit and various other murky corners of the internet, it could be the official promotional image for the upcoming film. This image, which was leaked this March 27th, is very similar in style to the usual posters related to the franchise and is causing an uprising among fans. The artistic similarity of the design to other official imagery should be enough to give legitimacy to the leak, but what has really made fans certain of its authenticity is Disney's response to the matter. Media platforms such as The Playlist have been directly contacted by Disney studios, and asked to remove the image from their websites. The Playlist consequently removed the entire article, stating: "A representative from Disney asked us to remove an unconfirmed bit of marketing material from the article. In fairness to the studio and those working on the film, we decided to take down the original post entirely". The leaked image was replaced with a GIF of Homer Simpson leaving the cinema after watching 'The Empire Strikes Back' and spoiling the film's ending for everyone waiting outside... perhaps to serve as a reminder that finding out information too early is not always a good thing! In addition to the familiar faces of Rey, Finn, and Po are a pair of new characters, apparently named Zorii and Jannah. With Zorii's identity is hidden beneath their golden helmet, many have theorised that it might be new star Keri Russell's yet unknown character. Luckily for fans who are unable to make it all the way to Chicago, 'The Star Wars Show LIVE! ', presented by Geico, will be streaming live on Starwars.com and on YouTube. Here fans will be able to enjoy a variety of exclusive interviews, panels, and other segments from the event, so you will not have to miss a thing! Several stars are signed to make an appearance, including Ian McDiardmid (Emperor Palpetine), Peter Mayhew (Chewbacca), Billy Dee Williams (Lando Calrissian), Ahmed Best (Jar Jar Binks), and Hayden Christensen (Anakin Skywalker). 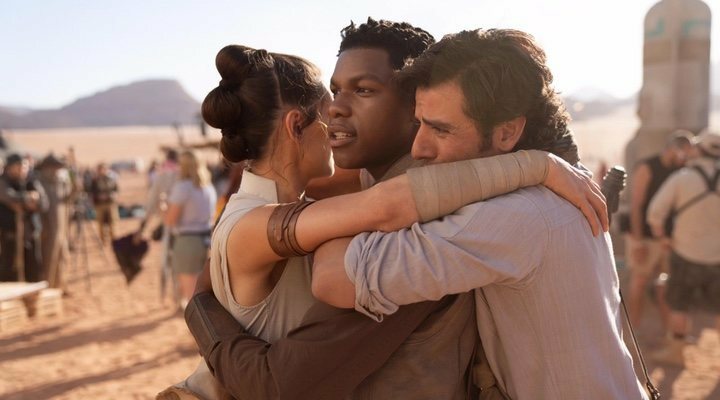 For those who are lucky enough to have tickets to the event, one of the most highly anticipated panels is, of course, for 'Episode IX', which will feature appearances from the film's director, J.J. Abrams, and the president of Lucasfilm, Kathleen Kennedy. It is scheduled for Friday 12th April, from 11.00am-12.00pm local time, and will take place on the Celebration Stage. The panel will be also be streamed live on the smaller Galaxy Stage and Twin Suns Stage. Another exciting panel, at 4.00pm on Saturday 13th, is one titled 'Sisters of the Force, A Celebration of Women and Star Wars'. The panel will feature Vanessa Marshall, Catherine Taber, and Amy Ratcliffe, who will discuss the great role women have played the creation of 'Star Wars' on all areas of the process. On Sunday 14th another of the most highly anticipated panels takes place in the morning from 11am; executive producer and writer Jon Favreau will be joined by executive producer and director Dave Filoni to discuss the mysterious world of 'The Mandalorian', an all new 'Star Wars' series about which we currently know very little. What we do know is that the series will debut on Disney+ streaming platform, and will star Pedro Pascal ('Narcos') in the protagonist role. On Monday 15th, on the same Celebration Stage at 11am, the Anniversary Celebration panel for 'Phantom Menace' will take place and will also be streamed live to the Galaxy Stage. Warwick Davis will host the panel, sharing behind the scenes footage and never-before-seen content regarding the making of the film which tells the story from which the whole saga is born. 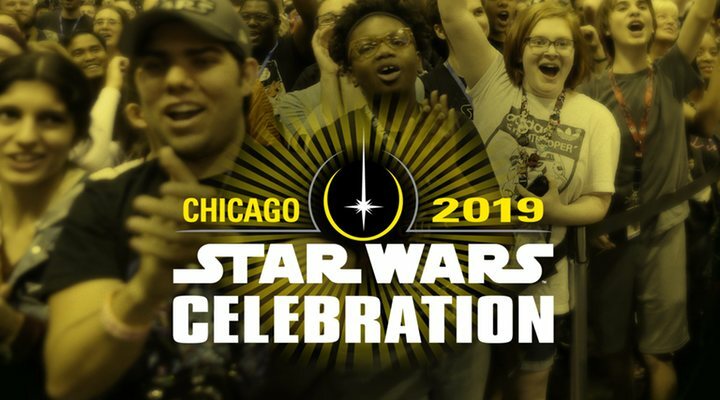 Other panels across the weekend include a 'Star Wars: The Clone Wars' sneak peak on Sunday, a 'LEGO Star Wars' 20th anniversary celebration on Friday, and even a Cosplay competition on Saturday. The full weekend schedule is available here. For fans of the franchise, this is an unmissable event! And for those who can't quite make the hop across the pond, don't forget to tune in to the official Star Wars website or YouTube channel in order to watch all the most exciting highlights live.